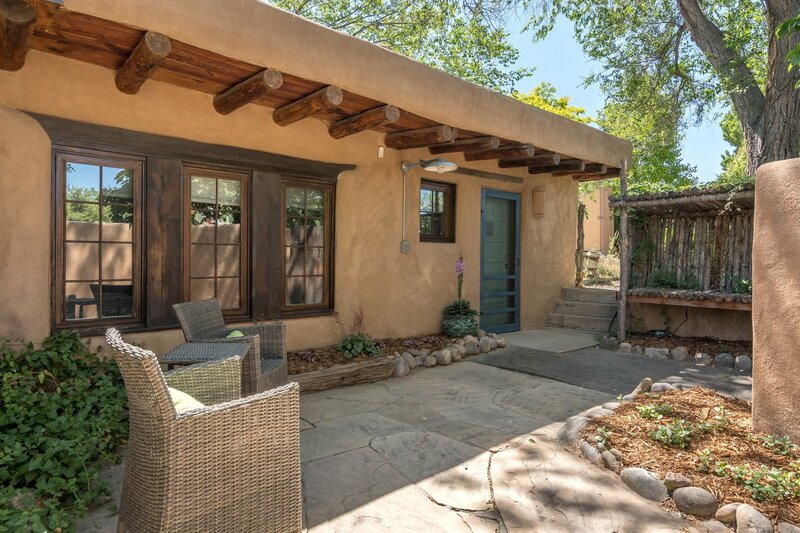 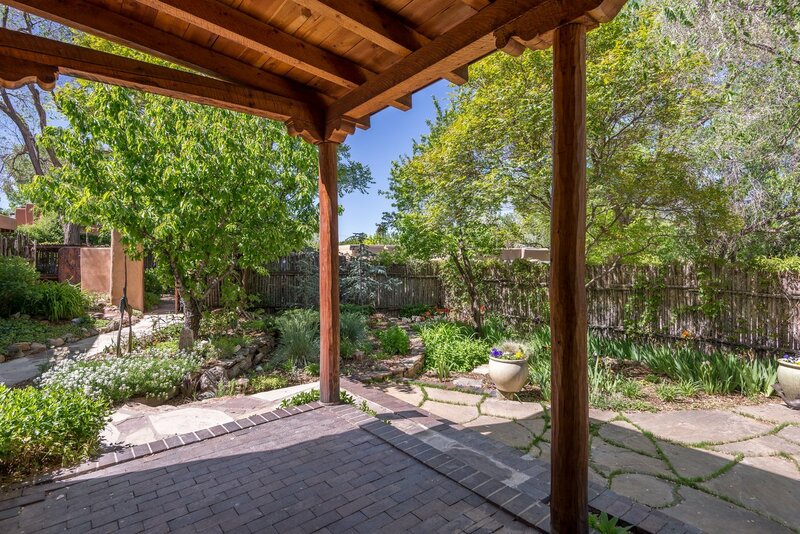 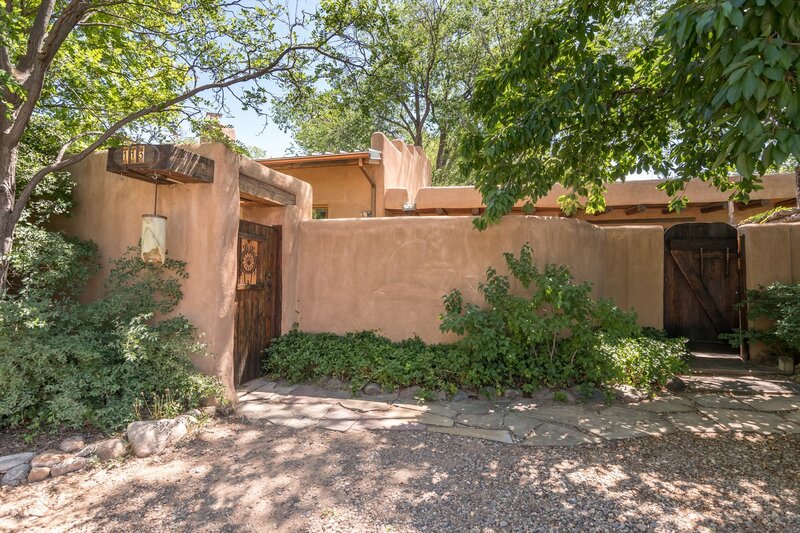 This beautiful 2 bedroom, 2 bath home plus 1 bedroom, 1 bath casita is located in Santa Fe's desirable Eastside, just minutes from Canyon Road and the historic Plaza. 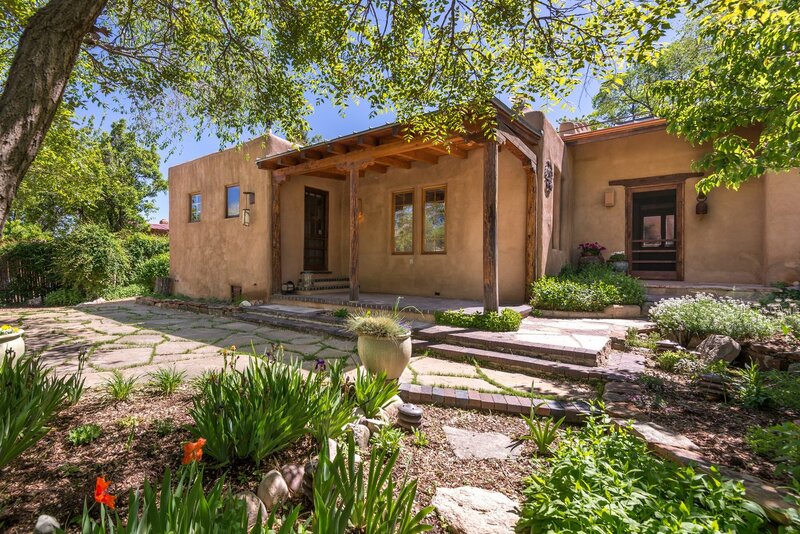 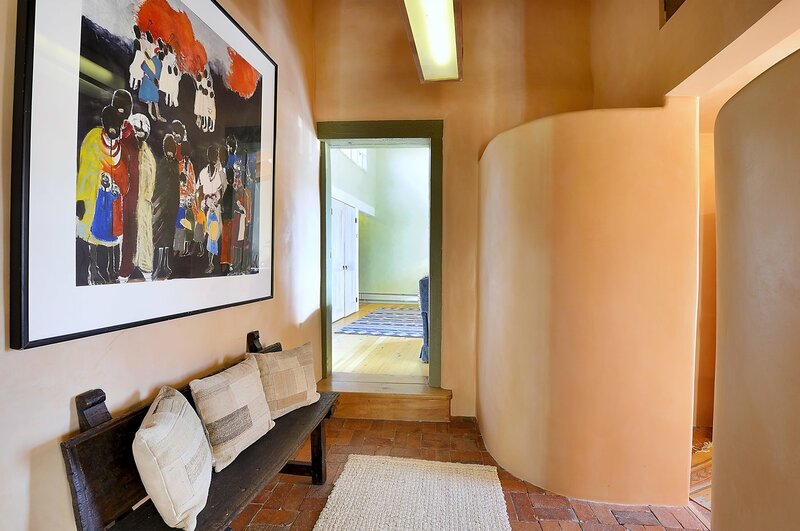 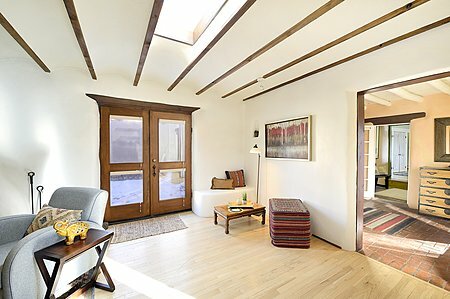 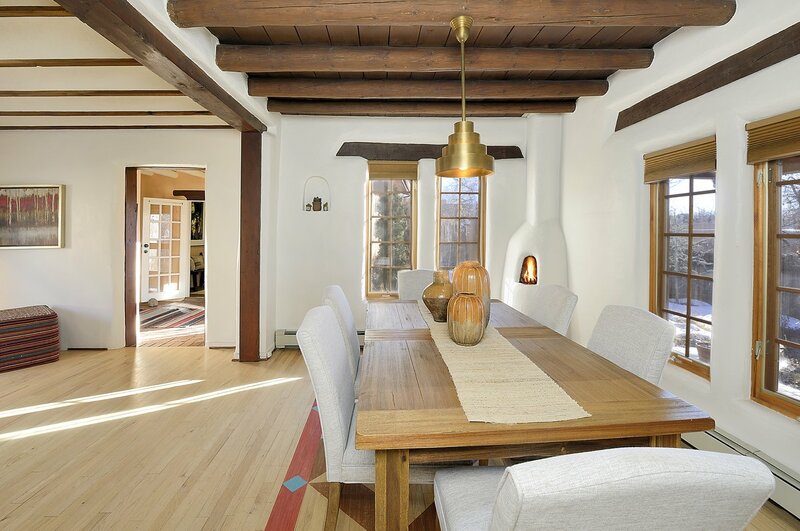 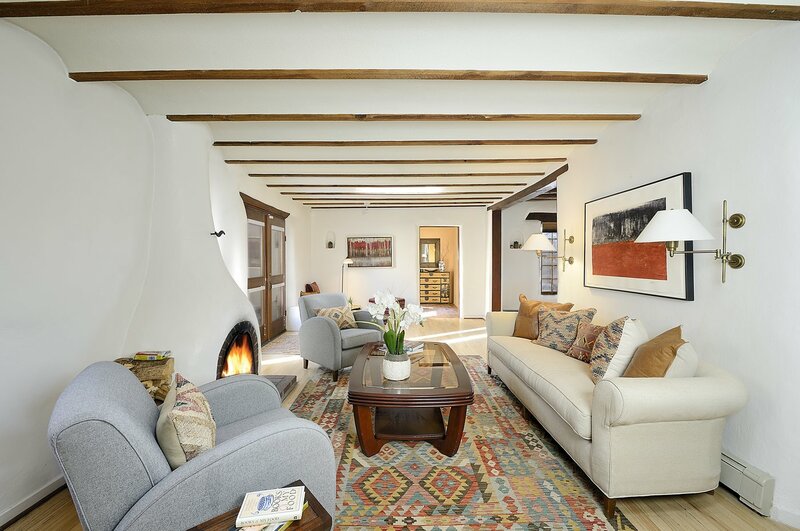 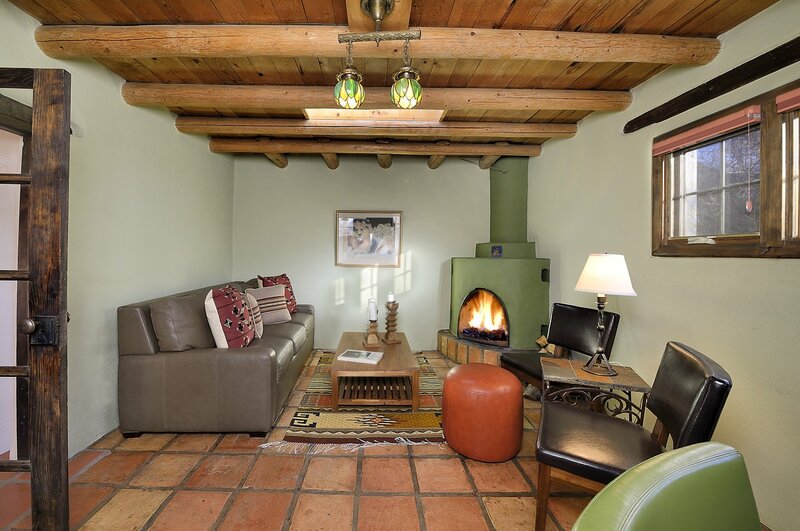 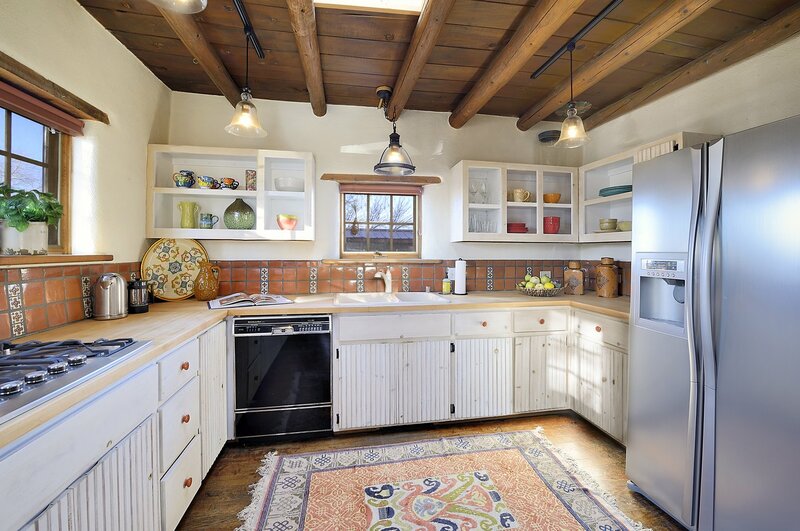 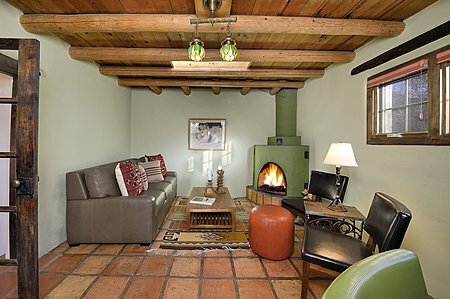 Steeped in tradition, artistry and authentic Southwest touches, this property features brick, wood and saltillo tile floors, kiva fireplaces, wooden vigas, skylights, and curved walls and arches. 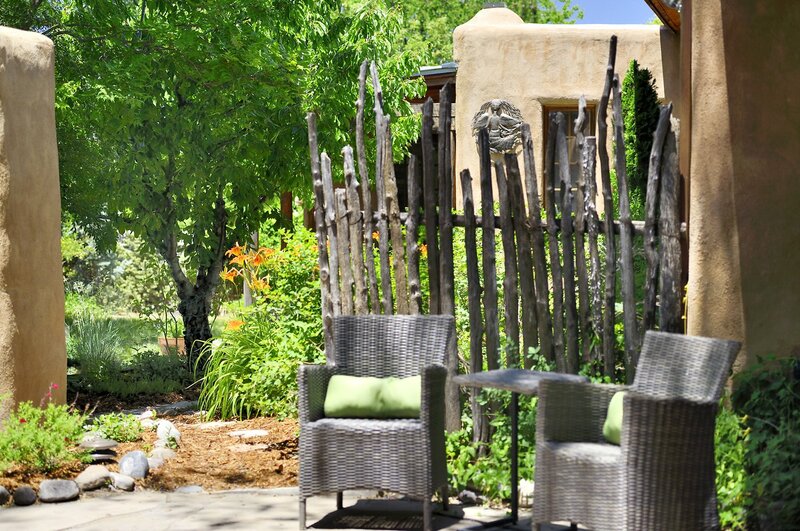 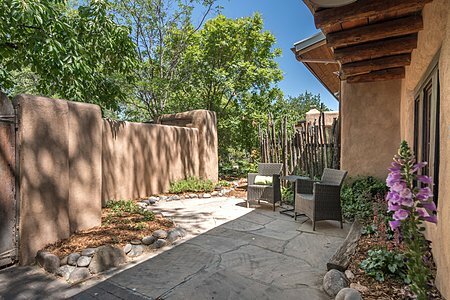 A lush, landscaped courtyard with winding flagstone paths welcomes you after passing through the gate. 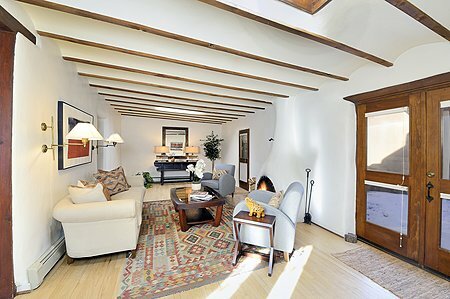 Enter the front door into a bright, spacious living room graced with undulating ribbed ceiling beams and a softly sculpted kiva fireplace. 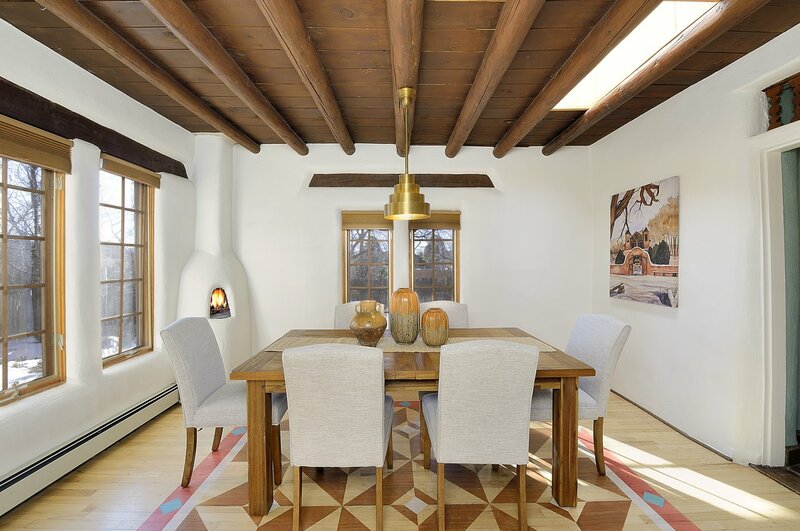 Off the living room, a formal dining room with large windows, kiva, and artistically-patterned wood floor combine to create the perfect ambiance. 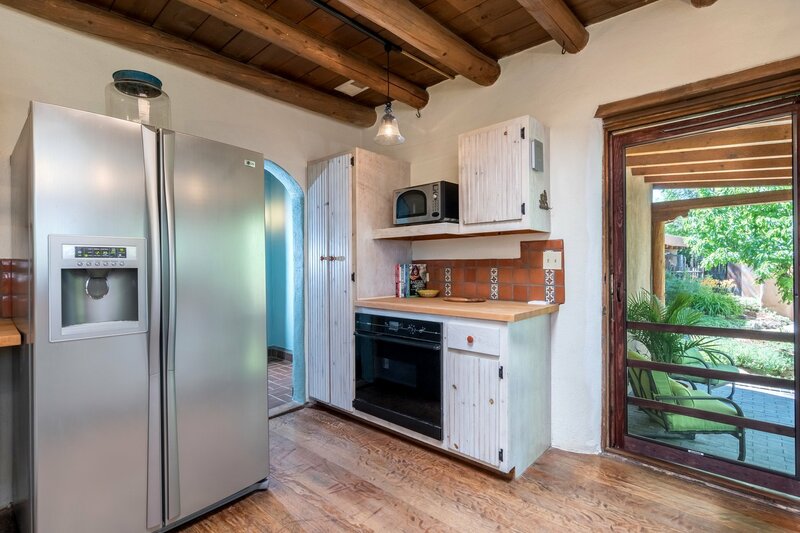 The thoughtfully designed kitchen boasts a 6-burner gas stovetop, separate stove, stainless steel refrigerator, traditional wooden cabinets and cupboards, dishwasher, skylight and classic decorative tiles. 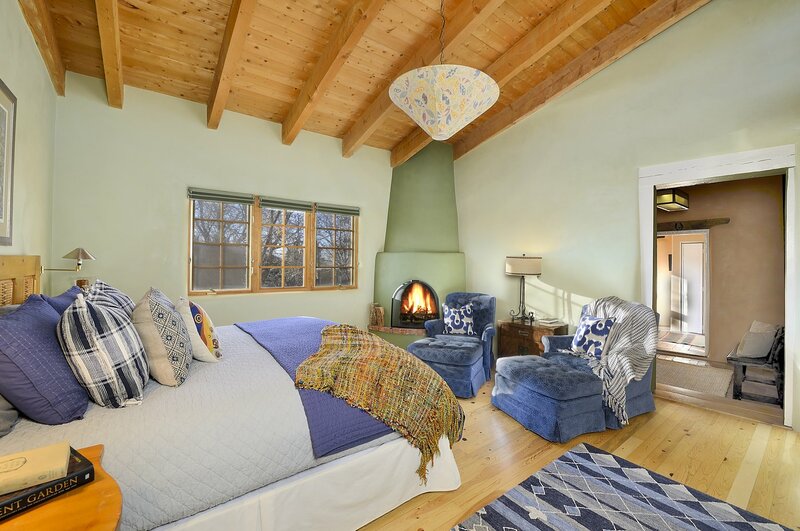 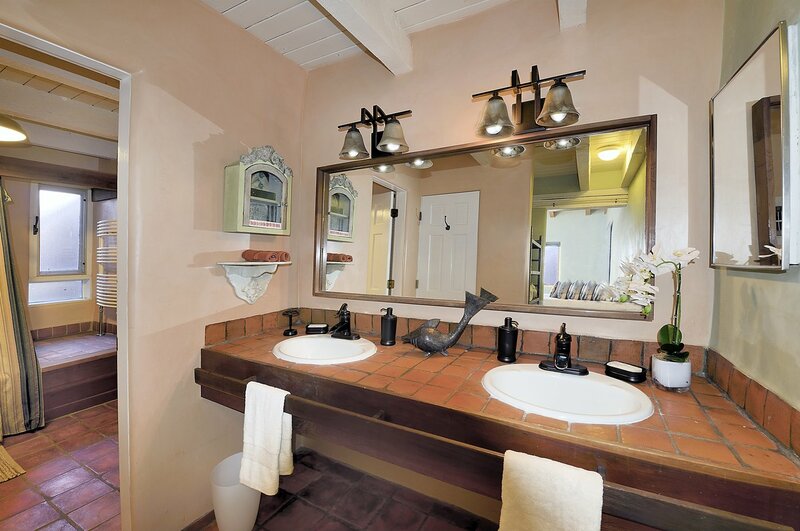 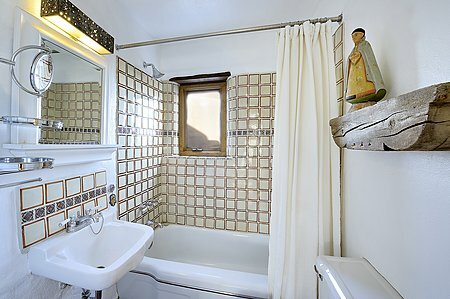 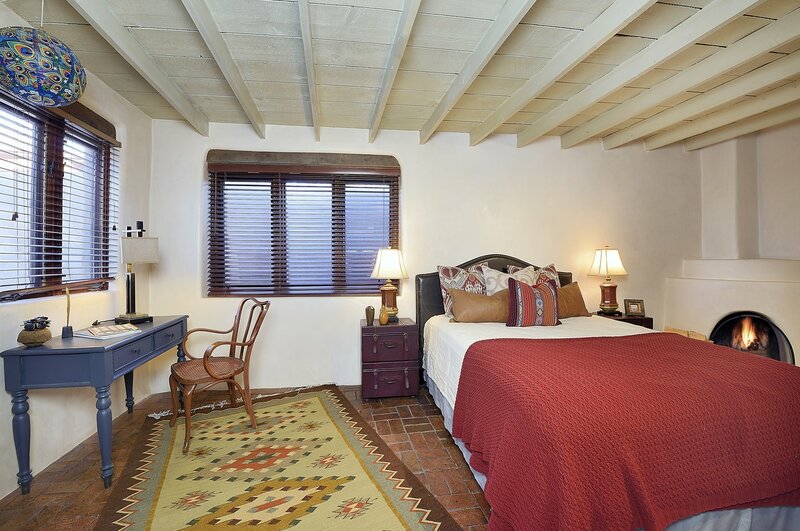 Each of the bedrooms has its own kiva fireplace, and the master bath features a sunken tub and lovely tiling. 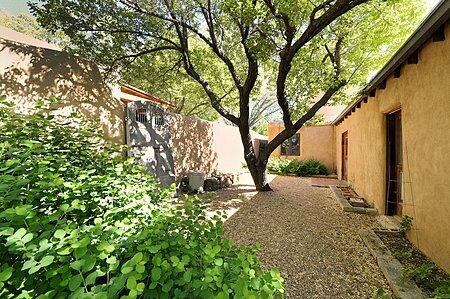 With a separate gated entrance and patio, the 600 sq. 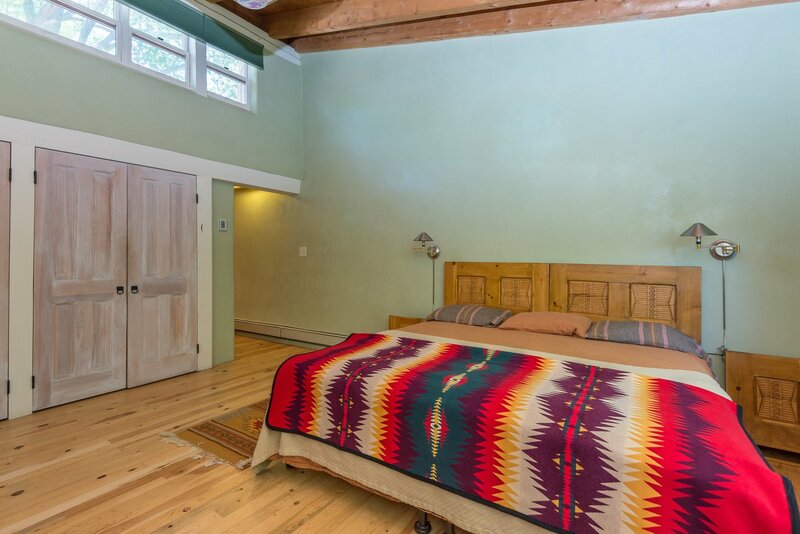 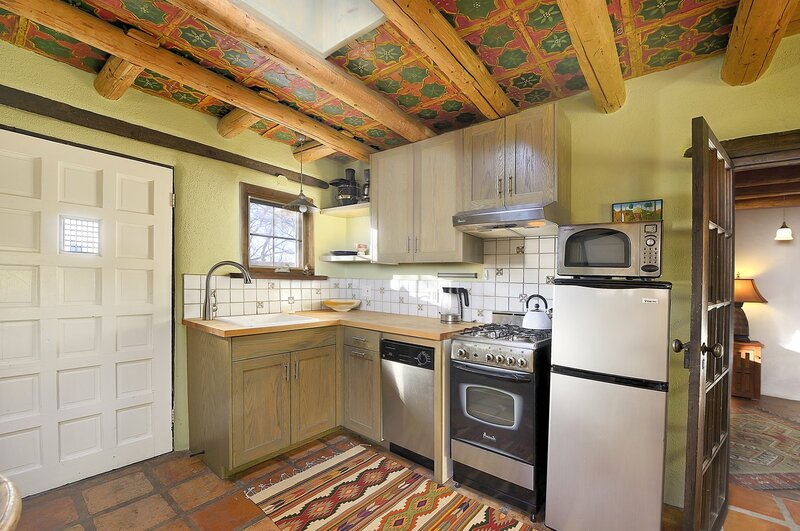 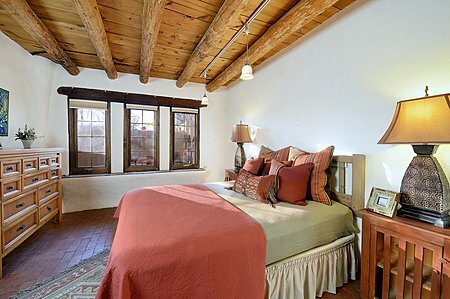 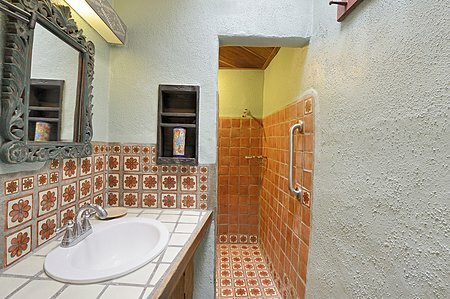 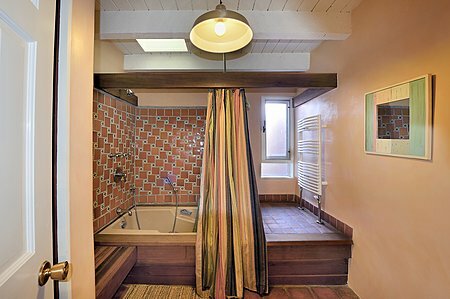 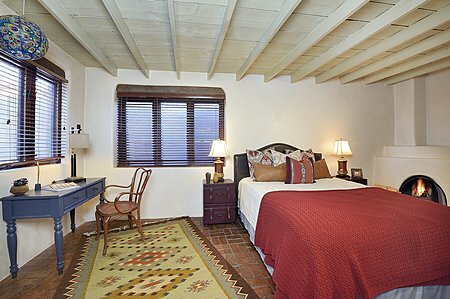 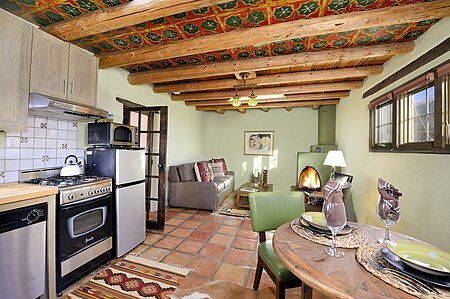 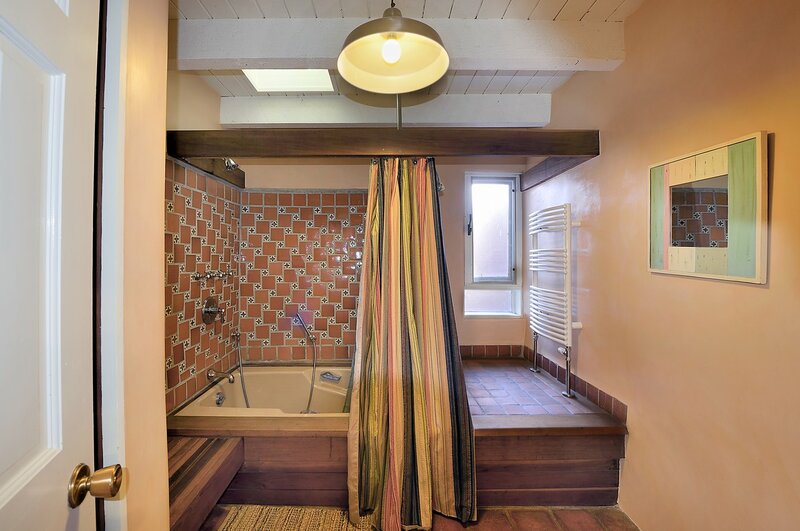 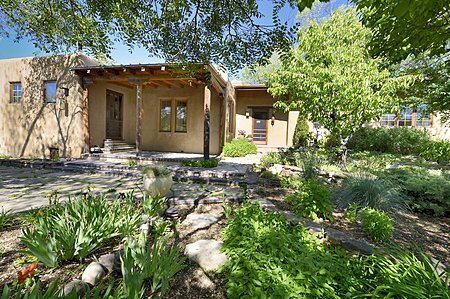 ft. casita provides comfortable living with a kitchenette, bedroom, kiva and hand-painted ceiling. 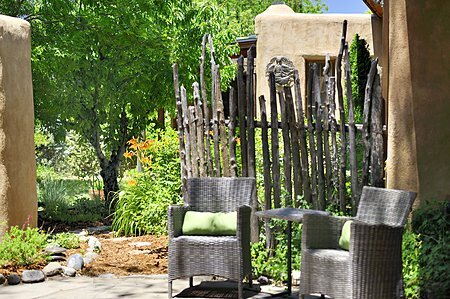 Multiple outdoor living areas offer wonderful spaces for relaxing and entertaining. Extras include a security system, wood stove and 3 off-street parking spots. 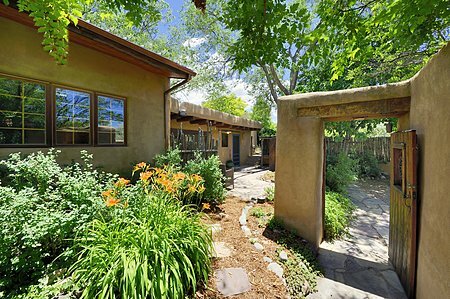 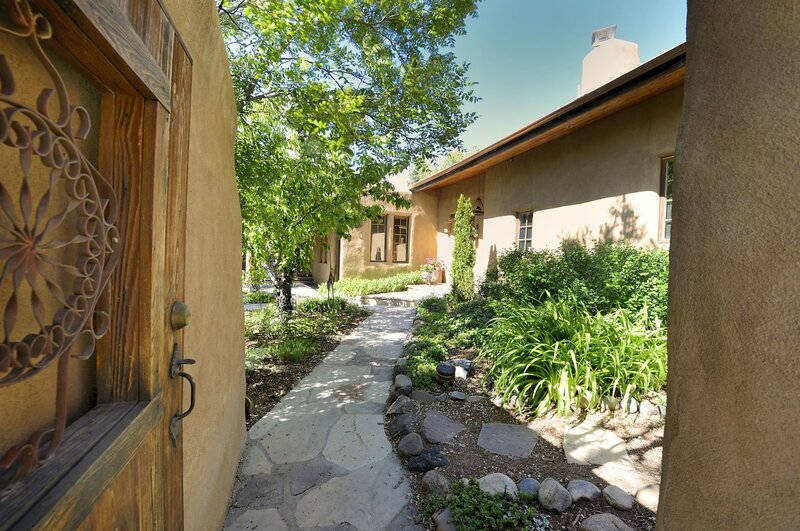 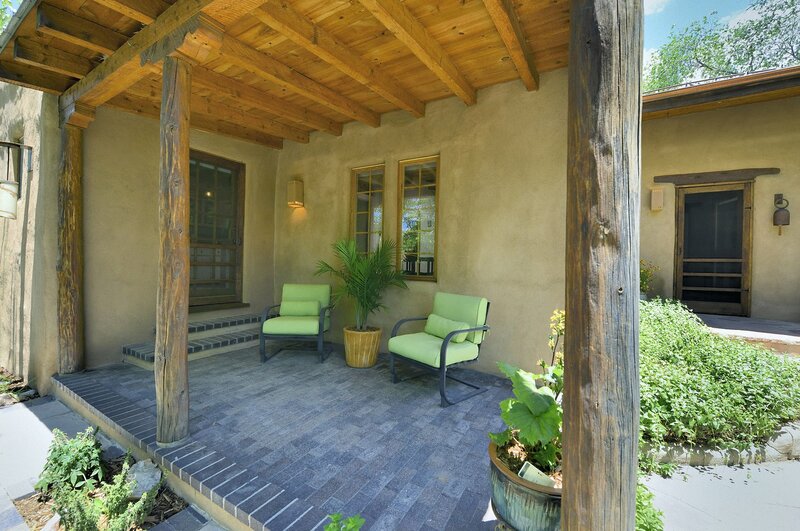 Don&apos;t miss this opportunity to enjoy Eastside living, in a home rich with authenticity and traditional Santa Fe style.